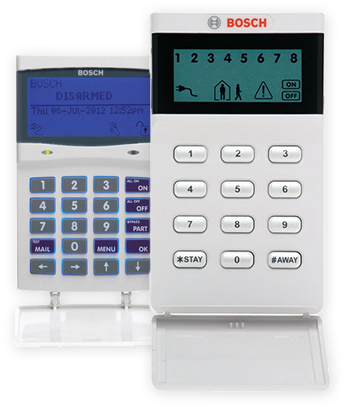 Bosch Alarm Systems - Sydney | SM Security Services Pty Ltd.
One of the most popular burglar alarm brands for the past 20 years is the Bosch alarm. Tens of thousands of homes and businesses alike use Bosch alarms for the simple fact that they are simple to use, they last and last and very rarely play up. Our alarm installers know all makes and models of Bosch alarms intimately. And yes, of course we install and service the new Bosch 3000 and the new Bosch 6000 security systems also. We take pride in how we conduct our business. This is why so many North Shore families entrust us with their homes for all their security needs. For reliable security products, such as alarm systems, Keyless entry systems and CCTV video surveillance systems, we’re only a phone call away. For well over 25 years, we’ve been keeping families safe from unwanted crims. We’re fully licensed, fully insured electronic security specialists. We keep up with the latest technology to ensure we install the most up to date and best suited products available for your individual security needs. We’re also certified and licenced Bosch alarm technicians.